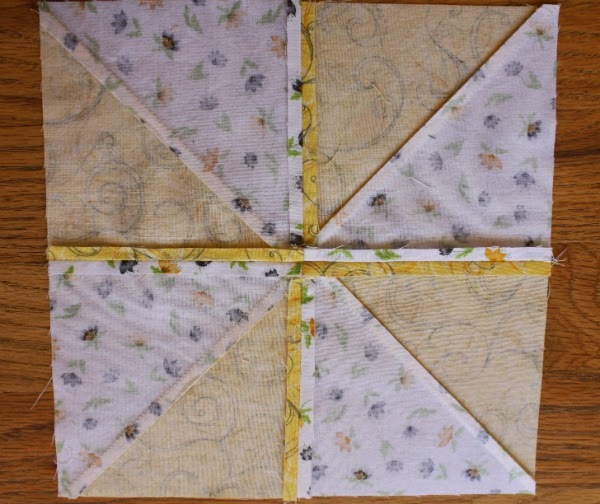 I've been working on these pretty pinwheels for another set of my Spin placemats. You can find the pattern in my Craftsy pattern store. I find my pinwheels lay more flat if I press some of the seams open. I still press the HST seams to one side, but then the seams to join them together I press open. And despite my admission that I iron, not press, with these seams I do find I have to be careful to press or I distort the other seams. 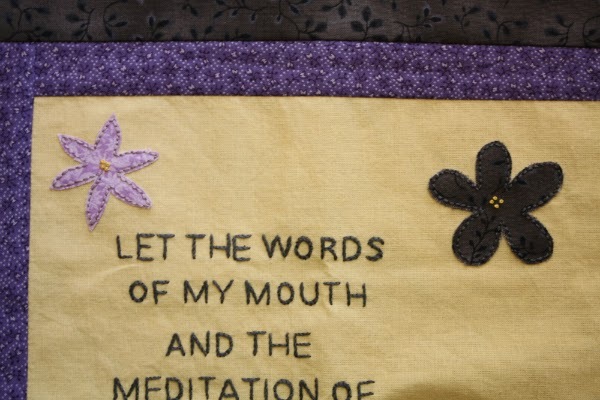 A couple of days ago, I finished the embroidery on my Psalm 19 piece, then I added a few flowers and embroidered around them. This mini is now ready to be basted and quilted. I think I'll only quilt around the edge of the yellow and the purple. I don't want any quilting to compete with the embroidery. I'm really pleased with how this has turned out. I especially love the embroidery on the flowers. And on Monday I received the quilt starting block made by Jennifer, of Never Just Jennifer, for the Round Trip Quilts. Isn't it beautiful? So now I have a couple of weeks to add my contribution before sending it off to the next stop. Jennifer's theme is New Hampshire Beauty, so she wants us to add things that represent her favourite things about her home state. I've been playing around with some ideas, but I'm not quite ready to start cutting fabric yet. 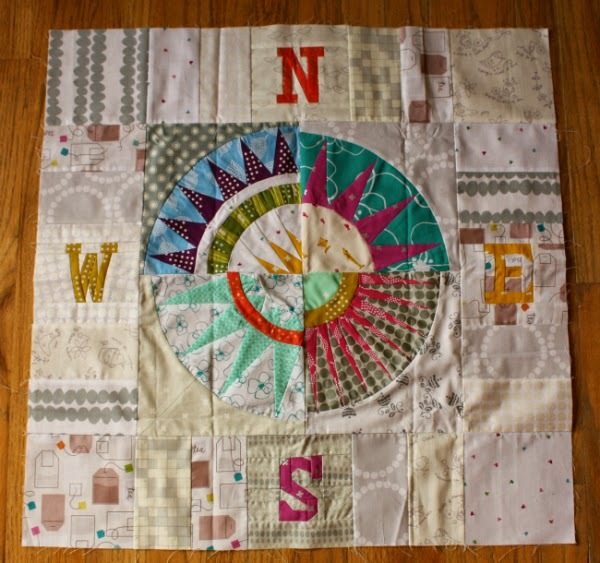 I'll be linking up with WIP Wednesday, Let's Bee Social, NTT and I Quilt. Oh my, I have seam jealousy! Mine never look like that, even when I press them open. Great job! Those are going to make darling placemats. I usually only press the last seam open on pinwheels, but I like how this looks. I will have to give it a try. Thanks for sharing. Wow, this is all so beautiful. I love your embroidery. Those flowers are really nice...the whole thing is beautiful. Good tip about pressing the seams open for the pinwheel blocks ... and your embroidery is so neat! Great pinwheels! 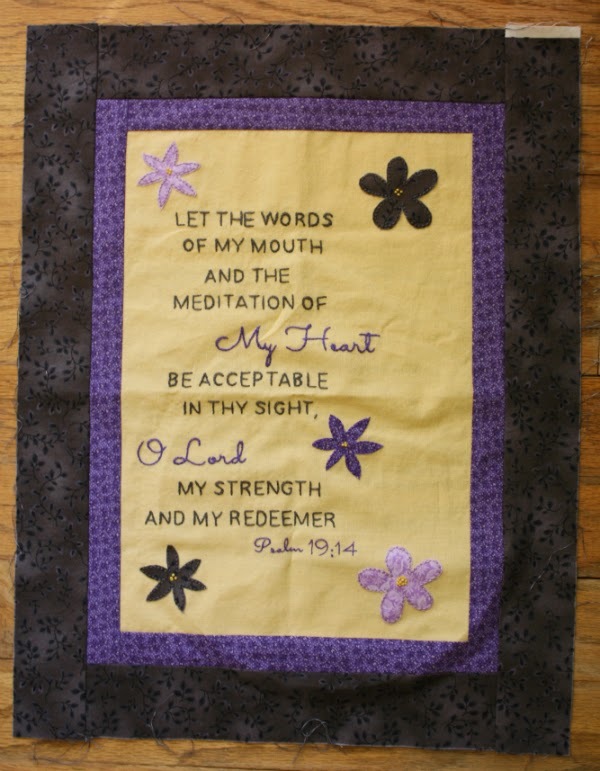 Beautiful embroidery for a wonderful verse. Thanks for the inspiration. your embroidery is beautiful Leanne, and what a gorgeous daily reminder of who we are seeking to please. 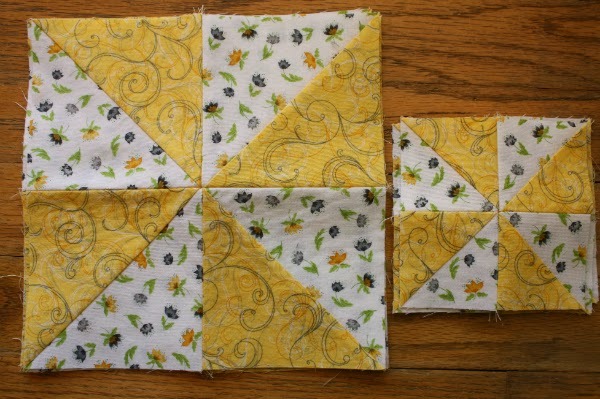 Lovely mini Leanne and what a great start to the Medallion quilt top. Lots of pretty things on the go here, Leanne! Love that embroidery work. Are you making it into a quilted wall hanging?